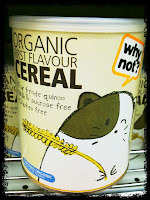 Last Sunday, I saw this rice cereal at the supermarket's Organic Food Section. When I took a picture of it, my tot asked me what it is. 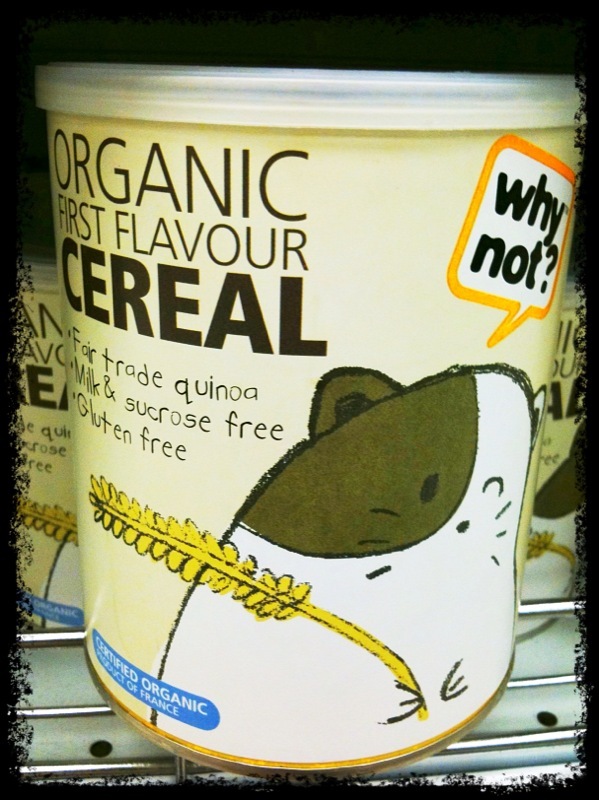 I explained to him that he used to eat this cereal (original flavour) when he was a baby. He finished 2 cans during 6-8 months. If you are an organic-oriented mummy, you may be interested to introduce this rice cereal as the first weaning food for your little baby (at 6 months). Just mix it with warm milk (breast-milk or formula milk). Try to feed (10am - 12pm) after the 1st morning milk feed when baby's mood is joyous. Start with small portion (1 tablespoon) and gradually add the portion if baby is not enough.